1. To get Kendall Jenner's hairstyle, apply a texturizer to second-day, unwashed hair. 2. Gather hair back into a mid-height ponytail and secure with an elastic. 3. Once your ponytail is secured, lightly tug the hair on the crown of your head forward, out of the elastic to create some volume on top of your head. 4. Pull a few pieces loose on either side of your head to keep the look messy and tousled. 5. Finish by misting with a medium hold hairspray. 1. To get Emilia Clark'es hairstyle, apply an anti-frizz serum to damp hair. 2. Next, blow dry your hair straight with a paddle brush, but don't worry if you still have some kinks or waves. 3. Take a teasing comb, and tease the crown of your head, then smooth over the top layer for a sleek bouffant. 4. Create a middle part in front. Then grab sections of hair on either side of your head, and bobby pin them into place at the back of your head. 5. Mist style with a strong-hold hairspray. 1. To get Nicole Scherzinger’s hairstyle, apply a volumizing mousse to damp hair. Blow-dry your hair, using your fingers to add texture. 2. Pull your hair into a high bun and secure with bobby pins. Loosen any too-tight pieces with your hands. 3. Finish with a light-hold hairspray. 1. 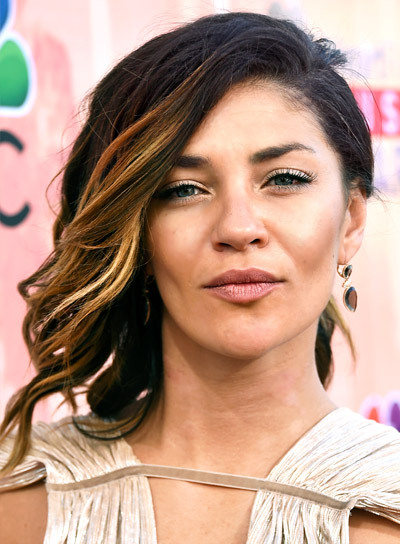 To get Jessica Szohr’s hairstyle, start with second-day hair for added hold. 2. Spray your hair with a heat protectant. 3. 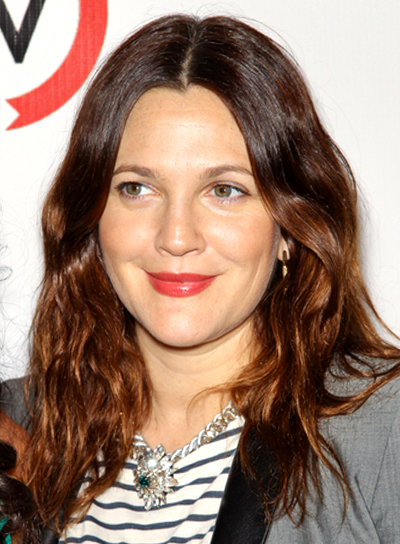 Use a flatiron to wave your hair away from your face. 4. Finish with a light-hold hairspray. 1. To get Hailee Steinfeld's hairstyle, start with unwashed hair. Apply a shine spray to your ends. 2. Using a large paddle brush, brush back the top half of your hair and secure loosely with an elastic. 3. Brush back the hair at the back of your head with a comb to get a roughed-up style. 4. Finish by securing the back of your hair with bobby pins so you can remove the elastic. 1. 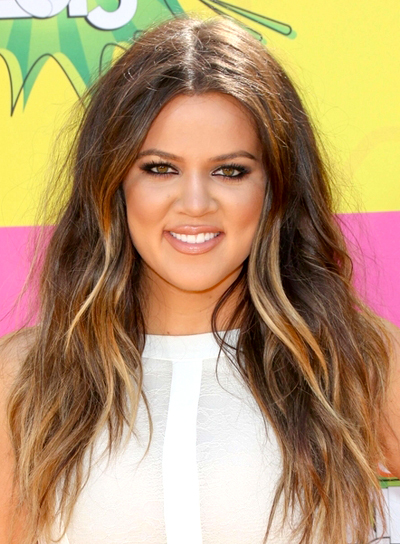 To get Khloe Kardashian's hairstyle, apply a texturizing balm and blow dry hair evenly. 2. Create a center part. Then add a few curls throughout your hair in 1-inch sections with a medium barrel curling iron. Brush through to soften. 3. Rake your fingers through your hair for a tousled touch. 4. Finish by misting your hair with a shine serum. 1. To get Vanessa Hudgens' hairstyle, start by applying a texturizing balm throughout your hair. Blow dry evenly with a round brush. 2. Create a side part and then mist your hair with a shine serum. 3. Start to curl your hair in 1-inch sections with a 1-inch barrel curling iron, making sure to only curl the bottom half of your hair, leaving the top smooth. 4. Rake your fingers through your hair to create a piecy look. 1. To get Gemma Arterton's hairstyle, apply a texturizing cream to dry hair and tousle throughout. 2. Create a center part, and then loosely waves sections of your hair using a flat iron. Clamp sections with your iron and wave them outward away from your face. 3. 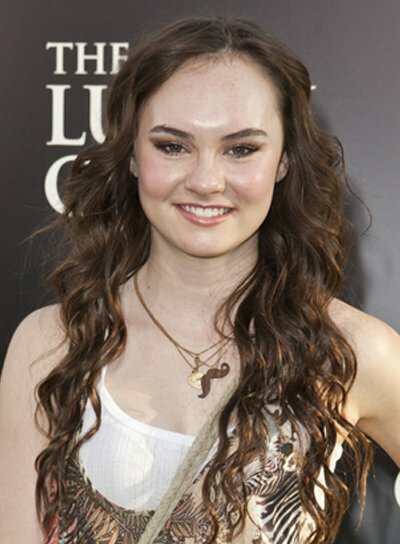 Tease your hair at the crown and sides, then gather your hair backward, allowing pieces in the front to fall naturally. 4. Twist your hair in the back to form a messy bun shape, and then pin pieces securely using multiple bobby pins. Make sure to maintain volume at your crown as you pin and tuck. 5. Twist and pin some front pieces back toward your updo, and then finish with a workable hairspray. 1. To get Gemma Arterton's hairstyle, apply a volumizing moisturizer to damp hair and blow dry using a diffuser. 2. Once your hair is dry, begin wrapping random sections of your hair using a styling wand. 3. Once all of your hair is curled, tease the crown and sides of your hair using a fine-toothed comb. Then rub a texturizing cream onto your hands and rake them over the top of your hair as you tousle and smooth it back. 4. Begin loosely pinning back sections of your hair using bobby pins, allowing loose strands to fall naturally. Be sure to pin pieces into your hair so that only the very ends of the pins are showing. 5. Once enough pieces are pinned back, gather your hair into a loose bun at the nape of your neck. Tug on the bun to loosen it, and pin sections down to secure it as needed. 1. To get Kylie Jenner's hairstyle, apply a volumizing mousse to damp hair and blow dry straight using a vented brush. 2. Create a center part. Then begin teasing layers of your hair at the crown and sides of your head using a fine-toothed comb. 3. Once all of your hair is teased, use a boar bristle brush to smooth the top layers of your hair down over the teased sections. Run a flat iron through your hair to tame any wavy pieces as necessary. 4. Finish by lightly misting with a shine serum and a medium-hold hairspray. 1. To get Nicole Scherzinger's hairstyle, start by applying a heat protectant to damp hair and blow dry using a round brush. Lift at the roots for maximum volume. 2. Create a center part, then apply a dime-sized amount of volumizing mousse to your fingertips and massage your scalp, lifting at the roots. 3. Lift top sections of your hair and tease with a teasing comb. 4. Brush through your waves and tousle your hair with your fingers to create a messy look. 1.To get Sofia Vergara's hairstyle, apply a heat protectant to damp hair and let it air dry. 2. Create a center part. 3. Using a 1 1/2-inch barrel curling iron, curl 1-inch sections of your hair. Be sure to clamp down and hold for a few seconds before releasing. 3. Use your fingers to rake through your curls, loosening them into soft waves. 4. Finish with a medium hold hairspray. 1. To get Lea Michele's hairstyle, apply a heat protectant to damp hair and blow using a round brush, lifting at the roots for volume. 2. Use a 2-inch barrel curling iron to create large curls. Be sure to clamp down and hold for a few minutes before releasing. 3. Rake your fingers through your curls, loosening them into soft waves. 4. 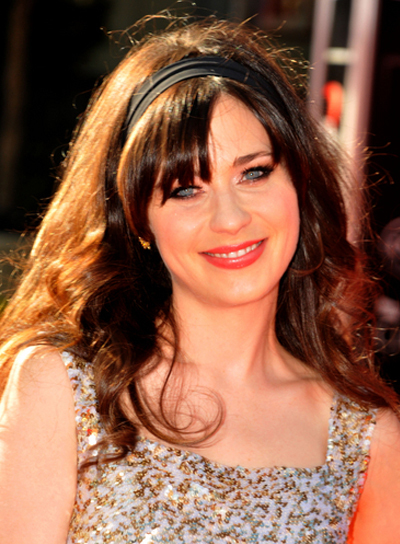 Use the curling iron again to touch up your bangs if necessary. 1. To get Lea Michele's hairstyle, apply a volumizing mousse to damp hair and blow dry using a diffuser to maintain texture. 2. Create a deep part. Then rub a styling pomade onto your hands and lightly smooth it over the top of your hair. Use the excess product your hands to scrunch and tousle the ends of your hair. 3. Wrap any straight pieces around a large styling wand for about five seconds and then brush it out. 4. Finish by misting your hair with a flexible-hold hairspray. 1. To get Minka Kelly's hairstyle, mist damp hair with texturizing spray and part in the center.2. Blow dry hair completely with a large round brush. 3. Once dry, wrap large sections of hair around a 2-inch curling iron, rolling the hair up from the ends, but stopping at chin height. Hold in place for a few seconds to set the curl, release and repeat all over. Curl face-framing sections away from face and alternate curl direction on the sides and in back. 4. Mist hair well with a loose-hold finishing spray. 1. To get Olivia Wilde's hairstyle, start with unwashed hair. It’s easier to work with dirtier hair for an updo hairstyle. 2. Take small sections of hair and backcomb 1-inch at the roots to achieve a voluminous crown. 3. Brush hair back into a small bun. Secure with an elastic. 6. 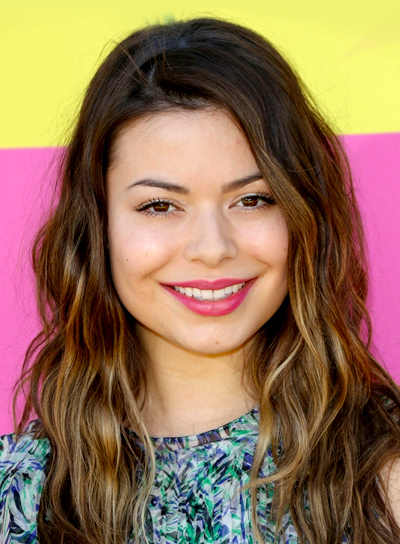 Use your fingers to loosen the style and pull out a few strands for that tousled look.7. Mist hair generously with hair spray to keep the look set. 1. To get Ariel Winter's hairstyle, part clean, dry hair to one side. 2. Divide hair into three sections and curl small pieces of hair around a 1 1/2-2-inch curling iron until all hair is curled. 3. Pull two small front sections of hair loosely away from your face and secure with bobby pins at the back of your head. 4. Finger comb hair to break up the curls and mist with hairspray. 5. Throw hair over one shoulder to display waves and dust with shine spray. 1. To get Jennifer Lawrence's hairstyle, apply a smoothing serum to damp hair and blow dry straight with a round brush. 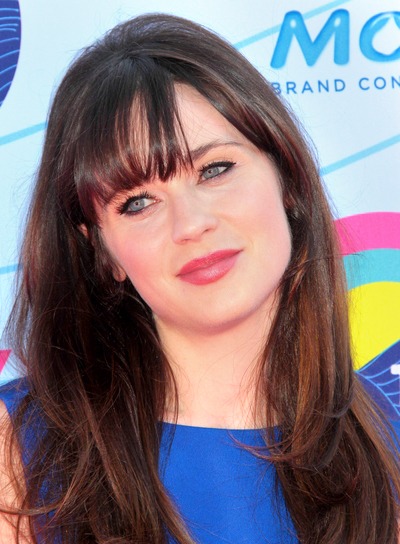 Wrap your bangs around the brush and blow dry them to give them extra lift and body. 2. Once your hair is dry, wrap medium-sized sections of hair around a 2-inch curling iron to create big loose waves throughout your hair. 3. Use your fingers to break up the waves, and mist them with shine spray to finish. 1. To get Jessica Alba's hairstyle, start by parting your hair to the side. 2. Apply volumizing mousse to damp hair, and blow dry straight under low heat using a round brush. As you blow dry, wrap your hair around the brush and twist the brush outward. 3. Run a smoothing cream through hair to tame frizz and flyaways.